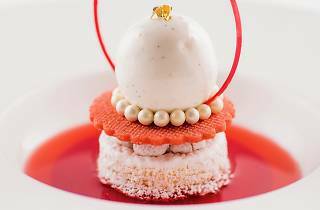 Impress the heart (and tummy) of your beau with Me@OUE’s lush five-course Valentine’s Day menu ($128 per person). Be swept away on a gastronomical adventure starting with foie gras with white miso and and exquisite Chilean seabass. 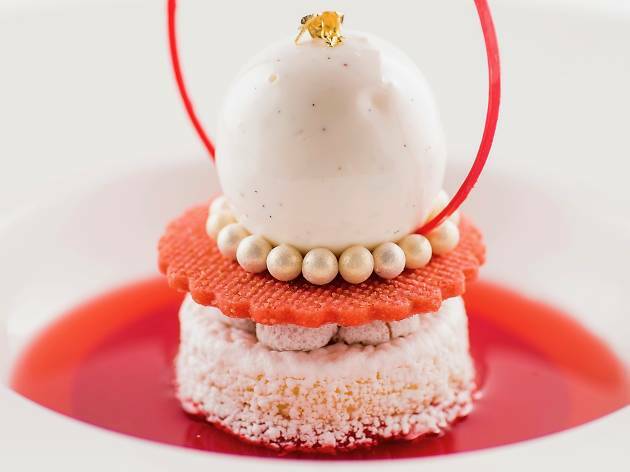 Swoon over how lovely the lychee and rose dessert and your date look. Craving a little privacy? Request for the cosy booth seats where you can shamelessly snuggle up to your partner all night.